If you’ve read almost any other points & miles blog for the past few weeks, you’ve probably noticed a steady stream of posts on daily deals via Daily Getaways. I haven’t posted anything about it as I haven’t found any exceptional deals until today. Even though the packages are advertised as buying hotel nights, you are actually buying Hyatt points for around a penny each which is actually a great deal for many luxury hotels as I’ll show you below. 24,000 Hyatt points for $260 (95 packages available) which is ~1.08 cents per point. 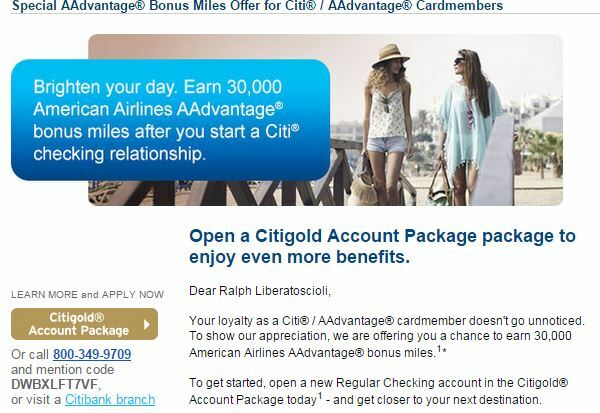 30,000 Hyatt points for $330 (35 packages available) which is 1.1 cents per point. 40,000 Hyatt points for $415 (15 packages available) which is ~1.04 cents per point. 72,000 Hyatt points for $775 (15 packages available) which is ~1.07 cents per point. I’m an avid fan of Hyatt hotels and I find they have a great collection of luxurious yet affordable (on points) hotels around the world that match my travel style. Last year I stayed at the new Andaz Maui and I am returning there in two weeks. A free night costs 25,000 Hyatt points which if purchased in this deal via one of the packages would actually end up costing me ~$270 a night. Not free in this case but look at the rates for a random weekday in July – almost $500! And other luxury hotels in Wailea are even more expensive so $270 would be a great price to pay for this hotel if it fit your travel style and travel goals. Let’s try another location – Costa Rica. 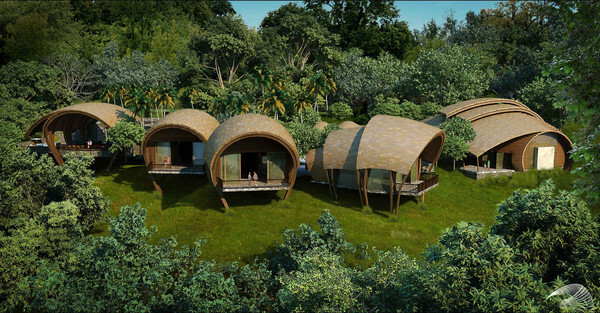 There is a relatively new Andaz property there, the Andaz Pensisula Papagayo Resort, which only costs 15,000 Hyatt points a night. A bunch of us are staying here in August so I’m excited to try this property out. 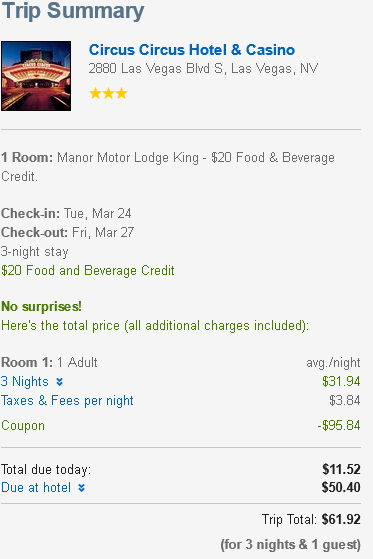 By purchasing points in this deal via one of the packages a night would actually end up costing me ~$162 a night which is a steal and more than half off compared to the retail rates. I could go on and literally find dozens of examples but basically buying points today is a great way to save on future Hyatt stays if you were ever going to pay the retail rates for these types of hotels. These packages will go in a split second at 1pm EST today – it is essentially a lottery to determine whose mouse click will get the chance to buy the points – so be ready. I would have the website open and ready to click once the clock strikes 1pm EST. Good luck! Good Deal Alert: Take $100-$200 off Most Hotels on Expedia with No Minimum Amount! Update: Dead! As I mentioned, when a deal like this sounds too good to be true, it will get pulled way earlier than the stated end date. Congrats to those who took advantage! Expedia is running a promotion in which you can instantly save $100-$200 on most hotels with NO minimum dollar amount for the hotel. However you do have to stay at least 3-5 nights at the hotel for the discount code to be applied. That means if you were able to find a cheap hotel (say $100/night), on a 3 night stay, it is like buying two nights and getting one free! This will also work best for hotels in SE Asia, Las Vegas and other parts of the world where hotels are generally cheap to begin with. You must book by March 15th and travel must be by August 31st but I sincerely doubt this code will last that long! The great thing about this promotion is most hotel chains are included (except Accor hotels) which is generally not the case with these type of promotions. As a reminder, you won’t earn hotel points and may not have elite benefits recognized if you book a chain hotel this way but the savings should outweigh the hotel points earned, especially if you are an infrequent traveler or not chasing elite status. 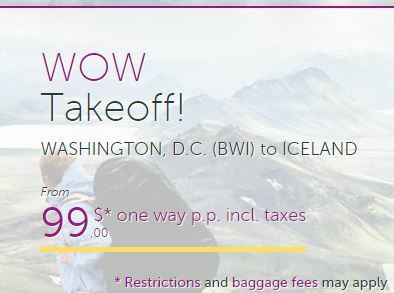 Deal Alert: $99 One Way Flights to Iceland and London Are Back from Wow Air! This is just a quick post to let readers know the awesome deal I posted a few months ago about extremely cheap flights to Iceland and London has returned! 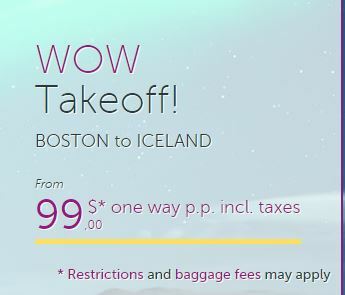 You can fly to Iceland for as little as $99 one way and $200 to London on Wow Air! They are an Icelandic based low cost carrier that is launching routes to Boston and Baltimore in March and June respectively. Availability is much more limited this time around but there are still $99 fares valid as of this posting. 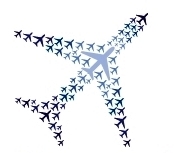 To search for flights, go directly to their website at wowair.us and search different days to find the cheapest flights. The return flights to the US seem to be pricing higher due to European taxes but anything under $400 roundtrip is a steal! As a low cost carrier, you can expect to pay for everything else – including food, carry-on baggage, checked baggage and more. Even factoring in these fees (which I discuss more about here), this is still probably the cheapest flight you can book with cash to Europe this summer.